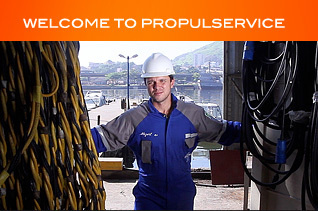 Founded in 1990, Propulservice run activities of naval propulsion, automation and control. For over 20 years on the market, accumulated great knowledge, experience and modern techniques, occupying a significant share in the business of ship repair. New equipment and technologies such as underwater repairs are important differentials of the company. We are a company specialized in controllable pitch propeller (HPC), Tunnel Thruster, Azimuth Thruster, Rudder machines, Propeller Repair, reducing valves, thrust reversers and Waterjet. We combine technology and quality, and we are today an important reference in the Brazilian market for vessel repairs. Propulservice inovate again in the market of vessel repair. The company give to their customers the service of submerged repair in propulsions equipments. Is the first Brazilian Company to do this kind of job. 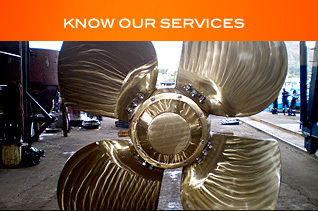 The submerged service, speed up the vessel repair, cut the costs and give convenience to our clients. © PROPULSERVICE. All rights reserved.